If you are like us, with our love affair with Tokyo, and, like us, miss its special mix of stunning architecture that doubles as larger than life retail, you will appreciate these two flickr sets. 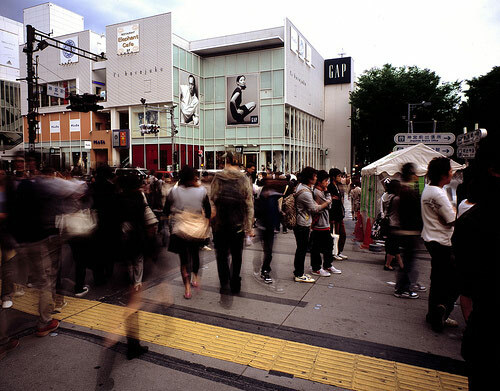 The first is by Ralf Dziminski and covers some of my favorite spots, including this corner on Omotesando, pictured above. The second, larger set is by nouknouk and also captures the overlap of retail messiness and retail architecture. Both pointed out by Jean Snow.